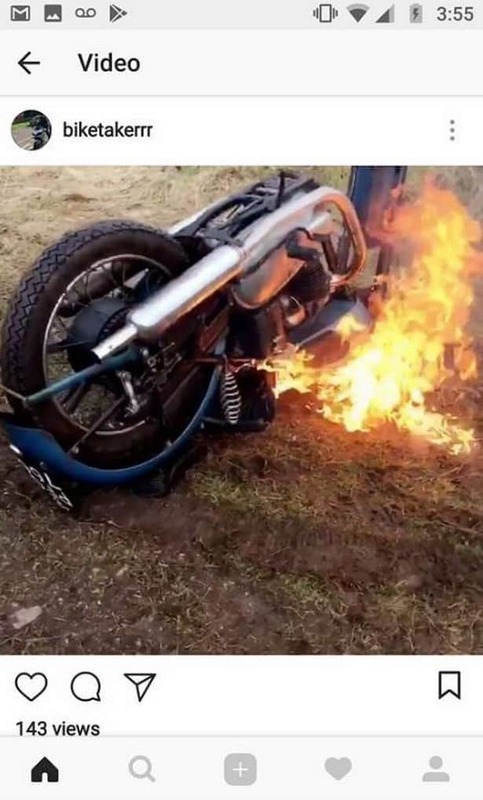 A vintage motorcycle worth thousands has been torched after thieves issued a ransom to its owner. 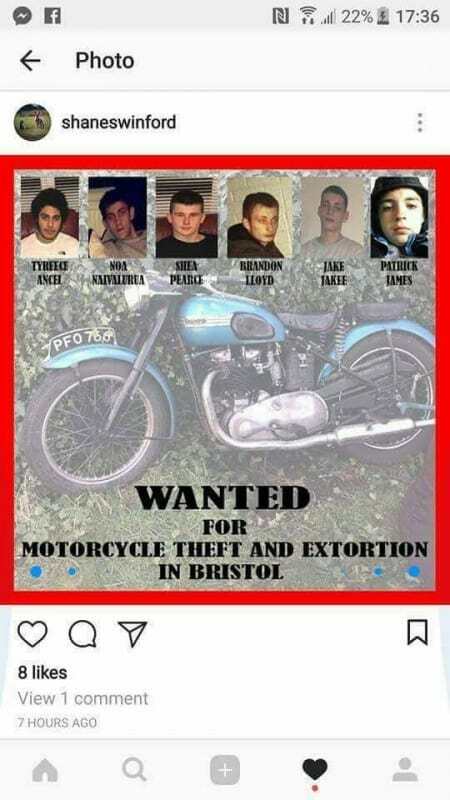 Brazen thieves demanded money from the owner of a 1951 Triumph Thunderbird after it was stolen from a garage in Clifton. 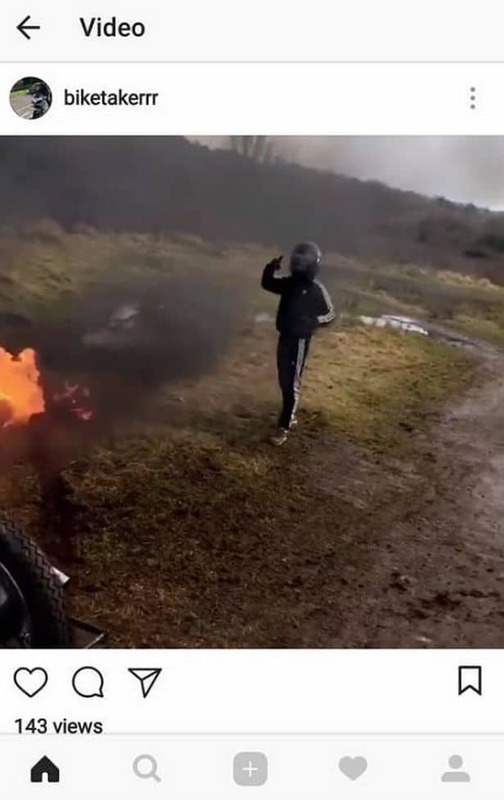 Shamelessly bragging about being in possession of the bike on Instagram, the gang threatened to burn the bike – which is worth between £7,000 and £10,000 – unless the owner paid them £1,000. But in their most recent post, published a day after issuing the ransom, the bike is filmed being set on fire while a youth in a tracksuit and motorcycle helmet watches on. “Told u [sic] give me a grand but you didn’t listen rude boy,” the thieves wrote. In another comment, they said: “Uno [sic] the drill, don’t pay gets burnt. This entry was posted in Blog and tagged Destroyed, Ransom, Stolen, Thieves, Thugs, triumph.